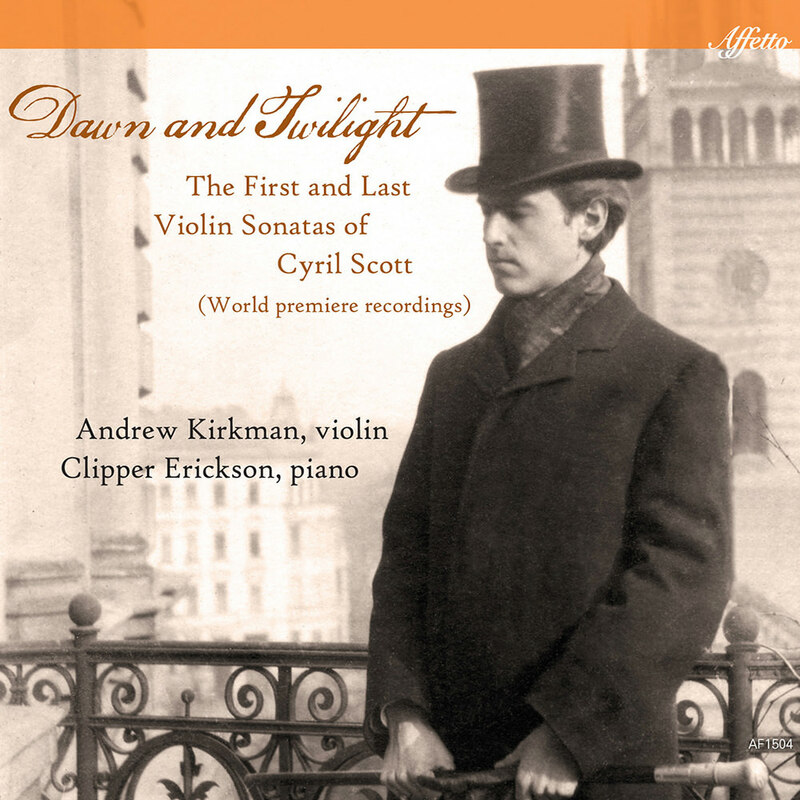 On this album of world premieres, violinist Andrew Kirkman and pianist Clipper Erickson perform Cyril Scott's sonatas spanning a 46 year period, played with sensitivity and fantastic musical engagement. The duo provides a bookend glimpse into Scott's musical development in the context of a classical music world almost completely transformed during this period. Largely neglected since his death in 1970, the advent of the 21st century has ignited a rediscovery of this iconoclastic composer; Dawn and Twilight is at the forefront of this rediscovery.